Home Secretary Sajid Javid has called for a "reset" in relations between the government and the police. He used his first speech to the Police Federation since replacing Amber Rudd to promise officers: "I'll give you the tools to get the job done." 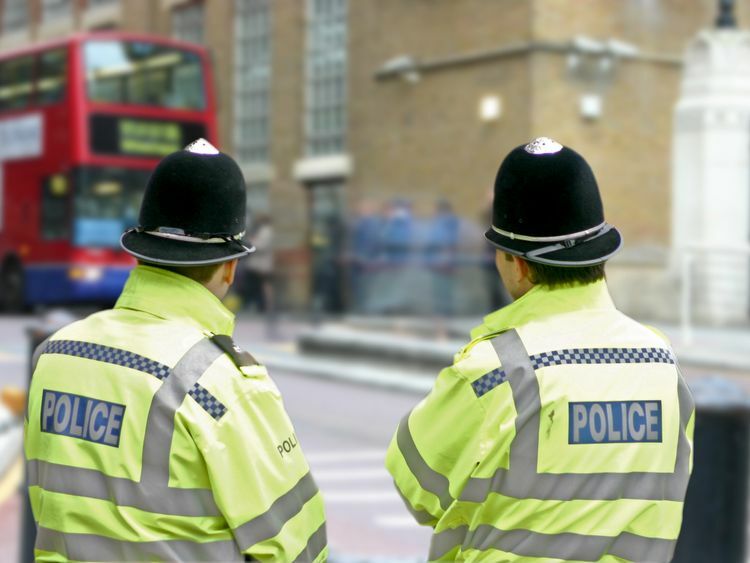 He vowed to prioritise police spending as he offered an olive branch to rank-and-file officers following years of sniping over budget cuts and staffing reductions. "For those of you who stand on the front line, be in no doubt that I will be standing with you," Mr Javid said. "I'm not arrogant enough to turn up here after three weeks in the job and tell you how to do yours. "What I will say is that I am listening and I get it. I get that there's increased demand. "Admitting the government has had to make "difficult decisions" since 2010, Mr Javid accepted a need to "think more about the long-term funding of the police".He pledged to "prioritise police funding" in next year's spending review of all Whitehall departments. But, Mr Javid noted more than €1bn extra is being invested in policing now than three years ago, including funds raised through council tax.In the face of a rise in police recording of knife and gun crime across England and Wales, Mr Javid also supported a boost in the use of stop and search powers.He told the conference in Birmingham: "Some of you don't feel comfortable using it - and that's not how it should be. "I have confidence in your professional judgement. So let me be clear - I support the use of stop and search. "You have to do your job and that means protecting everyone. "During her time as home secretary, now Prime Minister Theresa May reformed stop and search powers in 2014 after a review revealed people from a black or other ethnic minority background were much more likely to be stopped.The use of the powers is now at the lowest level since current data records began 17 years ago, a level that has come under scrutiny amid rising crime levels.Citing evidence that shows black people are more likely to be a murder victim than any other ethnic group, Mr Javid said: "If stop and search can mean saving lives from the communities most affected, then of course that has to be right. "Responding to Mr Javid's speech, Labour shadow policing minister Louise Haigh said: "Rather than showing he's listening, that he 'gets it', all Sajid Javid demonstrated was that the Tories are still in denial about the effect their cuts have had on public safety. "He claims he wants police to have the resources they need, but offers nothing beyond platitudes and the same inadequate funding settlement. "Embarrassingly he admitted that he hasn't even bothered to read evidence from his own department on rising violence and police cuts. "The time for talk has come and gone. The only way Sajid Javid can deliver a 'fresh start' is by putting an end to the Tories dangerous cuts to our police."